I came across some more information on the destruction and relocation of the city by Khosroe in a paper by Katarzyna Maksymiuk entitled "Mass Deportations in Syria and Northern Mesopotamia under the rule of Xusrō I Anōšīrvān (540-542)", in. War and Population Displacement. Lessons of History, eds. Fernando Puell de la Villa and David García Hernán, Brighton-Portland-Toronto, Sussex Academic Press. 2018, 46-53. "According to Jacob of Edessa, the Roman prisoners of war from the cities of Sula, Beroea, Antioch, Apamea, Callinicum, and Batnae were deported to Weh Antioch Xusro (Jacob of Edessa, 1907: 320-321). As far as Sula and Apamea are concerned, no other sources confirm the information that deportations from these two towns took place. In the case of Beroea, Procopius of Caesarea clearly states that its inhabitants remained in Sergiopolis, and the majority of other authors, representing different cultural circles, mention the deportation of the inhabitants of Antioch. Many sources describe complete destruction of Antioch. 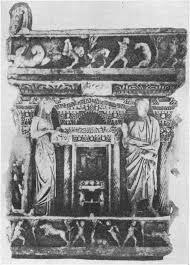 For instance, John Lydus states that "The statues, however, with which the city was adorned, he [Xusro] seized as booty, along with slabs of marble, precious stone and pictures; it was the whole of Syria that he carried off to Persia" (John the Lydian, 1812: III.54). It might seem that the pillage was not the goal of Xusro. A fragment of the chronicle of Pseudo-Dionysius shows he planned and systematic actions of Iranian king towards Antioch: "They stripped it and removed even the marble slabs which overlaid the walls, and took them away to their country, since they also were building in their country a city like this one and named it Antioch" (Pseudo-Dionysius of Tel-Mahre, 1933/1989: II, 69.7-15). The shahanshah decided to move into Iran not only the population but virtually the entire city. Weh Antioch Xusro was "situated at the side of al-Mad'in" (Tabari, 1999: I.898), "in a place one day's journey distant from the city of Ctesiphon" (Procopius, 1914: II.14. I). It was known as al-Romiyyah (Tabari, 1999: 1.959; Shahid 1995: 209-236). Most information about building of the new city can be found in the testimonies of Procopius and the Arabic chronicles Tabari and Dinawari (Dinawari, 2012: 70). The new city was to be built on the original plan of the Syrian metropolis. "He [Xusro] then gave orders that a plan should be made for him of the city of Antioch exactly to scale (literally, according to its extent), with the number of its houses, streets and everything contained in it" (Tabari 1999: I.898). The authors point out the special status of the city. It was excluded from the administrative system of the state. The city was a special district (kurah) for them consisting of four wards (tassujs): Upper Nahrawan, Lower Nahrawan Badaraya, Bakusaya. "He [Xusro] allotted living allowances for the people whom he had transported from Antioch to al-Romiyyah" (Tabari 1999: I.959-860). The inhabitants were called "king's subjects, so as to be subordinate to no one of the magistrates, but to the king alone" (Procopius, 1914: II.14.3-4). An interesting legal aspect can be observed in the testimony of Procopius who wrote that "if anyone else too who was a Roman slave ran away and succeeded in escaping to the Antioch of Chosroes, and if he was called a kinsman by anyone of those who lived there' (Procopius, 1914: II.14.4), then in such a situation his owner would lose the ownership over the escapee even if the owner was a member of Iranian aristocracy. We can believe that escapes of this sort must have been quite common if special law regulated such events. The inhabitants of Weh Antiok Xusro were not treated as captives but almost like guests. The ruler did not impose the Iranian religion (Jullien, 2006: 116; Maksymiuk, 2015c: 123-134) or Iranian habits on them (Dignas and Winter, 2007: 254-263). Barz, a Christian from Gondesapur, was appointed an administrator of the city, "because he was their co-religionist" (Tabari, 1999: I.960). Xusr6 provided at his expense the pastimes corresponding to culture and tradition of the inhabitants. According to Procopius, "a bath and a hippodrome", were built in the city so that the Antiochenes could have "free enjoyment of their other luxuries' (Procopius, 1914: II.14.1-2). The author of the Chronicle of Seert mentions that "when Xusro died, Antiochean Greeks whom he captured and settled in the city which he built for them, venerated him after his death, by their Christian habit, by following his remnants on their last way" (Chronicle, 1911: 197)". As one of my prime interests is the physical heritage of the city it is interesting to note how the creation of the new city involved the wholesale removal of statues from Antioch. 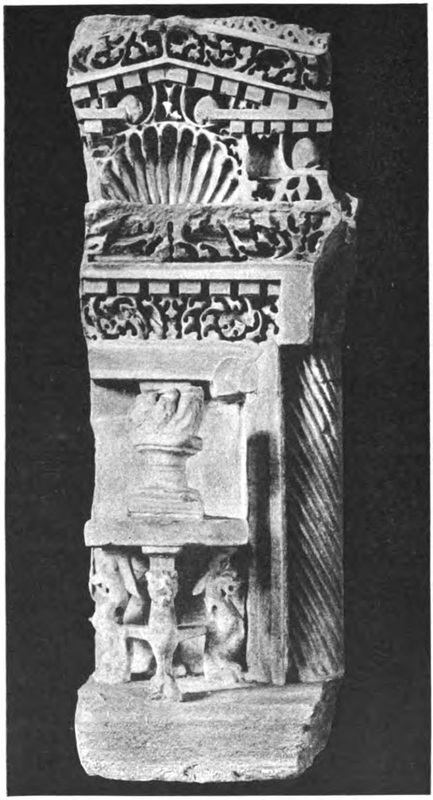 This might be a good explanation as to why so little sculptural material was recovered by the expeditions of the 1930s. However one wonders also after the destruction of the earthquakes and around 150 years of Christian ascendancy how much statuary remained in the city to be carried off. For instance was the famous Tyche still extant? 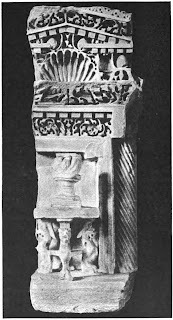 It might be ironic if the original statuary of Antioch ended up being preserved at Khosroes' new city whereas the original Antioch has proven to have been destroyed so many times and ultimately made so inaccessible to archaeological work. Then the comment that the city was built to the original plan of Antioch is intriguing. One wonders whether this could be true but only identification and excavation of the site of the duplicate city could reveal the truth of this.